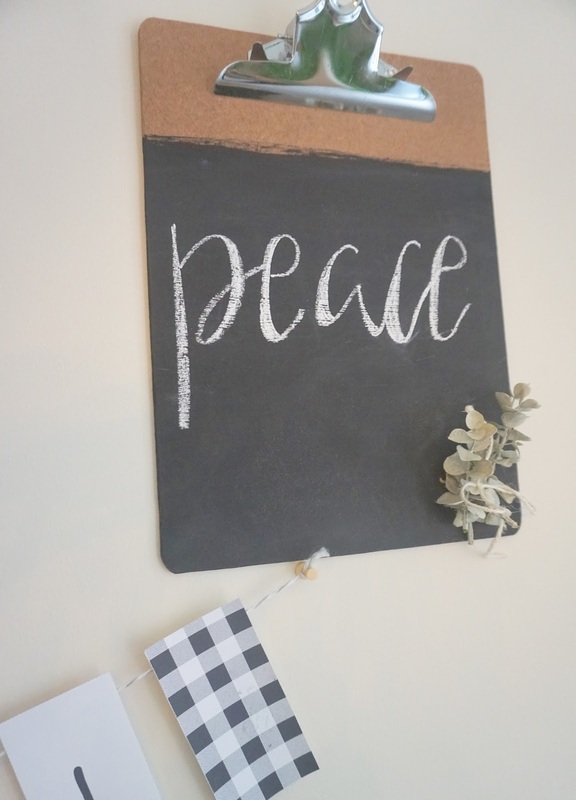 I had the idea for these chalk clipboards after using them for a Christmas Advent Calendar. I wish I could have left them up all year, but I just could not find a way to tie in the Christmas theme with the rest of my decor. I wanted to incorporate the words love, peace, joy, and hope somehow though. For I believe we should celebrate Christmas in our hearts all year long. When I think of the birth of Christ, these four words capture that moment so well. 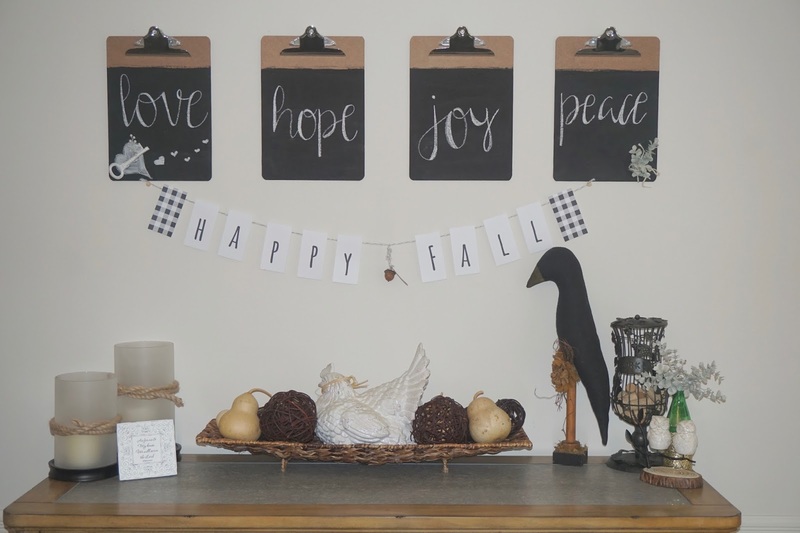 Since I am obsessed with chalkboard look and lettering, this project was created! 5. Any little items you want to add to the clipboards to complete the look. my boards you will see that my lines are not perfect at the top. 2. Using Pages or Word, pick a nice script font that you like and type your words, one per page. Maybe you have a short phrase you like, just keep it to one word a page, to create a similar look. big enough to fill up the page. When you get it how you want it, print out your pages. on the clipboard for you to follow. in the future if I decide to change the words or use them for something else. leave yours blank if you like. Make it your own, however you want! Have fun! See you back here tomorrow for another awesome home project!